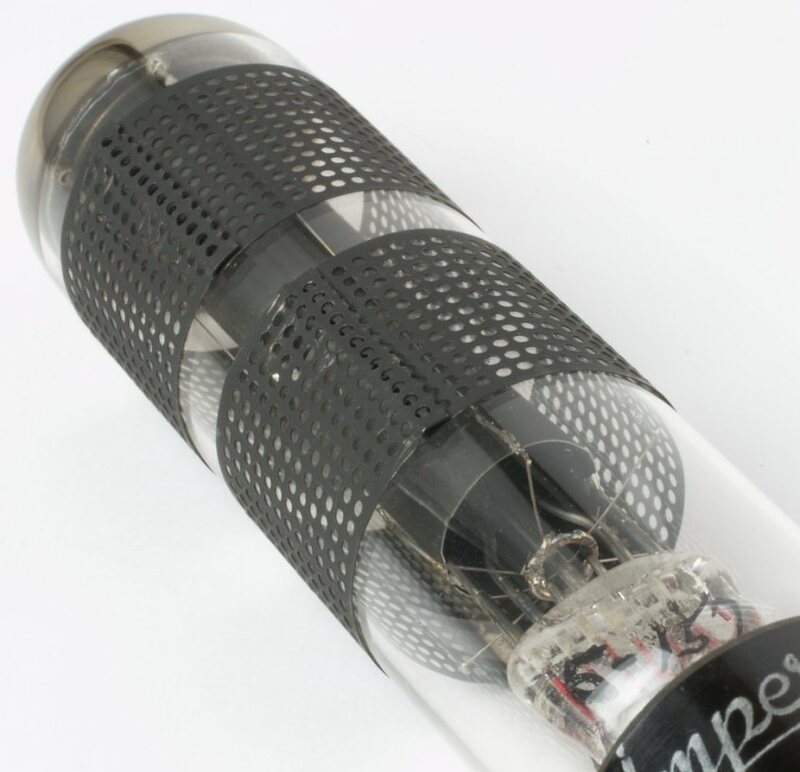 This tube, produced by Collins in partnership with Amperex, was developed by Robert H. Goddard (the rocket inventor) as a workaround of the RCA patent on the De Forest conventional crystal oscillator, which RCA refused to license to Collins. 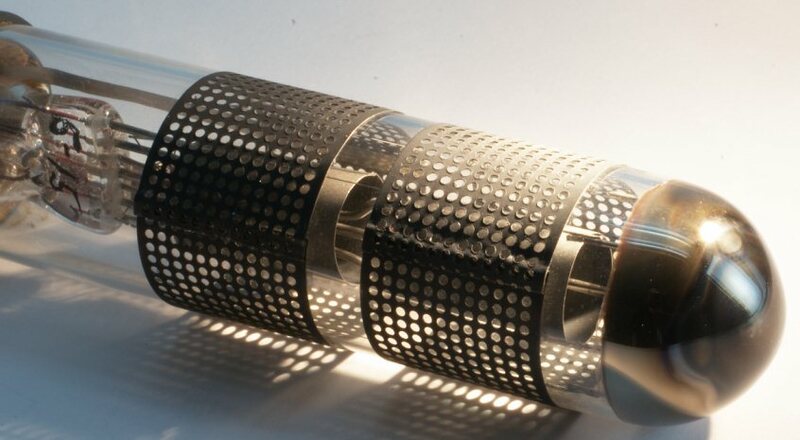 The tube has six vertical filaments around two central anodes, and two external perforated electrostatic control elements, connected to a base pin. 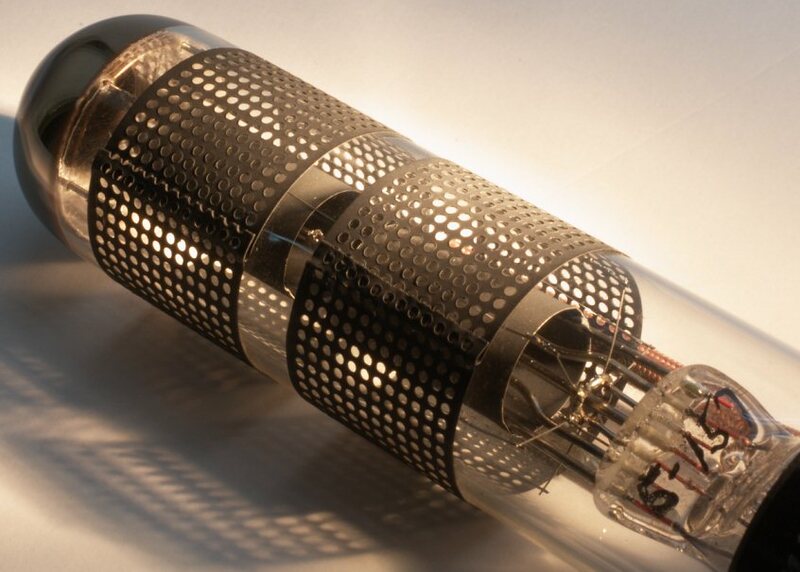 It was introduced in 1935, and used in the Collins 45A transmitter and the 30FXC set.